Plan a summer sale by following our simple outline, designed to keep stress low and sales high. 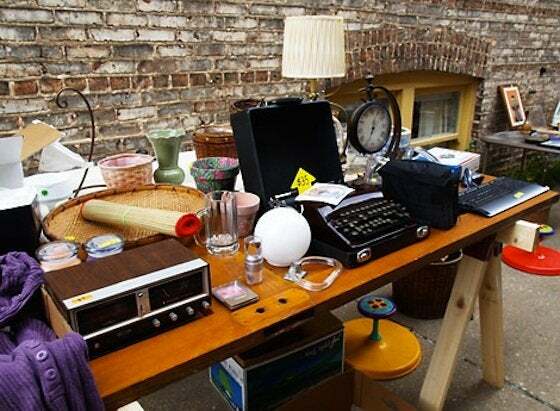 Take advantage of the warm weather by holding a yard sale to clear the clutter and maximize your home’s space potential in an easy and profitable way. Here are four tips to help you plan and execute the most fun and successful sale in your neighborhood this summer! 1. Sort and Organize. It will come as no surprise that the most important part of finding success with a yard sale is making sure you have enough stuff to sell. To be sure of this, start going through your home, room by room, and deciding which items are taking up valuable space and are in good enough condition to sell. Tackle a closet or one room at a time, and designate a spot in the house to collect your sale items. Having them all in one place will help you visualize how they will look in the yard. 2. The Price is Right. The most profitable yard sales are the ones that are priced right. If you’re not sure what the resale value of a wicker chair is, go on eBay and see what they’re selling for. Understanding the value of your items will help you set a profit goal for your sale. 3. Advertise! Most local papers have affordable spaces to advertise your upcoming sale. Secure this a couple of weeks in advance, once you’ve settled on a date and assembled the majority of your sale items. Be specific: if you’re selling baby furniture, advertise it. Shoppers will base their weekend yard sale circuit off of what they’re looking for, so be clear about what you’re offering. Include time, date, address, and a short description; advertising your sale can only make it more successful. 4. Sign Language. 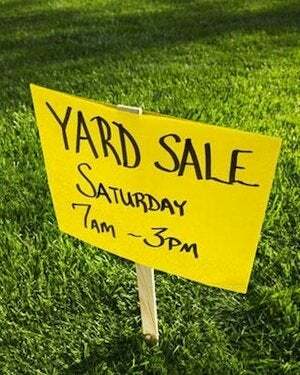 A few weeks in advance, research the ordinances in your city for setting up small signs the weekend of your yard sale. Depending on the flexibility of these guidelines, use neat, eye-catching designs and post them on higher-traffic streets. Highlight time and address, and be sure to include an incentive to stop, e.g., “antiques!” With yard sales becoming increasingly popular, do what you can to set yours apart.